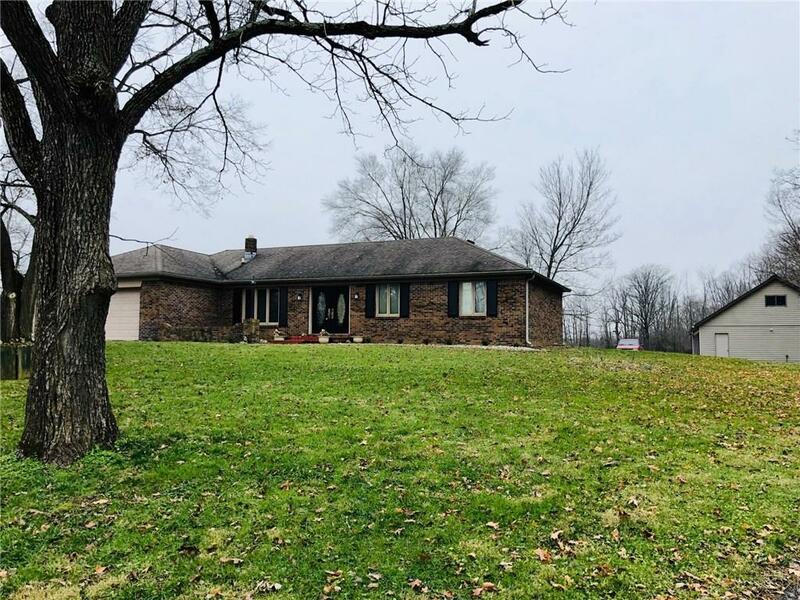 Solid brick ranch featuring 3 bedrooms, 2 full baths, a formal living room off the main entry, open kitchen concept with breakfast room to one side and a large family room off the other. Family room boasts a full wall brick wood burning fireplace and a cozy 3 season sun room entry. Master includes a large bath and walk-in closet. Property not only has a finish heated 2 car attached garage but also a 4 car detached garage with 200 amp service and a very large attic space for storage! Don't miss the chance to see this home and it's 2.64 acres!